I was able to see my parents & my oldest daughter last Sat. It is always great to see them. I love my family so much. My parents just recently returned from visiting my sister in California for the Holidays. I remember when all of the family would get together at my house to celebrate birthdays & holidays. What good times we have had. The last time was over 5 years ago. Now, I can only enjoy my families company in a short visit in a strict visiting room in the High Security Federal Penitentiary that I am currently being housed at. I am blessed to even be able to see them, so I do count my blessings daily. I have been able to see my oldest daughter, who is 17 yrs. old, about 12 times since 2011. My youngest daughter is almost 9 & my son will be 8 in August. I have not talked or seen either one of them since June, 2011. My sister is such a big part of my life. I love her so much. She is my sweet angel. She lives in California & I have only been able to see her about 5 times since 2010. Other family members & friends frequently visit me, & for that I am also blessed. I am so very blessed to have many, many people in my corner during this rough season in my life. Family, friends, loved ones, churches, total strangers (who I consider family now), & especially God. It tears me up inside to see how my incarceration has ripped apart my family & friends. I miss the times we have had daily with each other. What I would do to know then what I know now. Everything happens for a reason. I really have grown from this experience. I just don’t understand why I was so harshly penalized for exercising my constitutional right to take my case to trial. I received a LIFE sentence for conspiracy to deal marijuana & am now housed at a Maximum Security Federal Prison. I do thank everyone for all of the on-going support through e-mails, letters, cards, phone calls, visits, & prayers. My Appeal is going forward now. It has been held up for the last 2 years, but it is finally proceeding forward. I anticipate great things to happen in my future. I will continue to fight this un-just Justice System we have here in the United States. I will never give up!! Thanks again for all of your on-going support. Keep me in your thoughts & prayers. We spent an awesome day in Olympia yesterday registering attendees to the ASA Medical Cannabis Lobby Day. Unlike last year, I found legislators eager to hear what I thought of the two major competing medical bills, SB 5052 & SB 5519. Today HB 1698 was introduced which throws a third medical dispensary model in the ring. Our Legislature is ready to tackle this issue – whether we are or not! Let me walk you through how to interact with the States website as I’ve given you links to each bill below. SB means Senate Bill. SB’s are originated by our Senators. We each have one Senator. HB means House Bill. HB’s are originated by our Representatives. We each have two Representatives. We’re going to use SB 5121 as our example. SB 5121 is about establishing a marijuana research license so that cannabis researchers can grow the cannabis they are doing studies on. Here’s an image of the screen you’ll see when you hit the link. 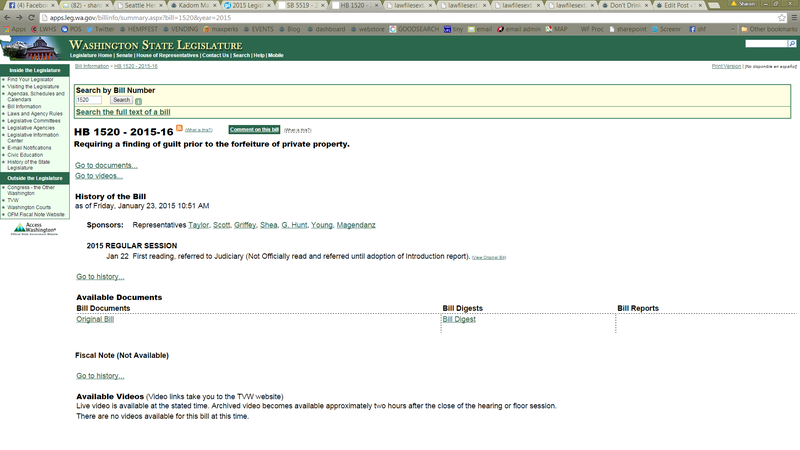 “History of the Bill” tells you who the sponsors are and hyperlinks you to their page. It also shows you what has happened to the bill on what date and hyperlinks you to more information about these events. I always read the “Original Bills” under available documents vs the “Bill Digest” as I want to see everything they are saying but the “Bill Digest” gives you a very short description to help wade through the list. The button I want to point out most is the “Comment on this bill” button. It’s under the big yellow box near the bills Name “SB 5121 – 2015-16” This button takes you to a screen that allows you to comment on the bill. The comments go to your Districts Senator & Representatives as well as the Bill’s Sponsors and any Committee Members who are reviewing the bill. The most effective way to communicate with them is in their language. For example, If I don’t like the wording in Section 1, item A, state what you don’t like and how you would change it. Don’t be emotional. Be factual and tell them specifically what you would change by section. 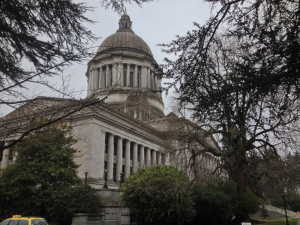 Now let me introduce you to some of the other legislation working its way through Olympia. First are the three that deal with how medical cannabis is dispensed and what to do with our medical cannabis industry. Next are a variety of Bills for both medical & recreational cannabis. SB 5051 & 5572 clarifying transportation and delivery services for marijuana producers, processors & retailers. HB 1020 makes a qualifying patient’s medical use of cannabis may not be a sole disqualifying factor in determining the patient’s suitability for an organ transplant among other things. 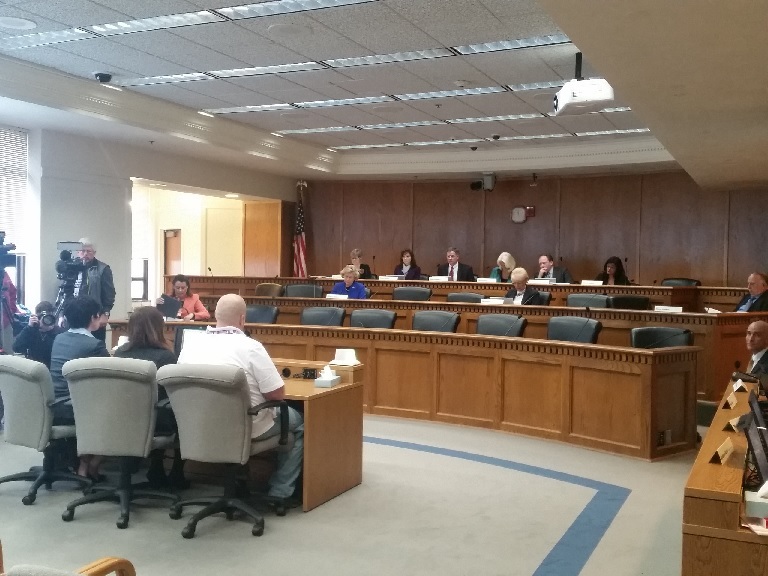 HB 1361 & SB 5401 Allowing the Washington state liquor control board to accept donations for funding informational material for the purpose of improving public awareness about marijuana consumption. HB1413 Revising licensing regulations pertaining to the buffer distances required between recreational marijuana businesses and specified public and private facilities. HB 1414 Exempting marijuana producers from taxation for sales to other producers of marijuana seeds and cloned marijuana plants. HB 1418 Providing for the enforcement of illegal marijuana production. HB 1438 Permitting cities, towns, and counties to prohibit the production, processing, and sale of marijuana under Initiative Measure No. 502 only by public vote. HB 1650 Clarifying provisions regarding the seizure and disposition of marijuana and processed marijuana products by state and local law enforcement agencies. HB 1673 & SB 5245 Concerning substance abuse prevention and treatment programs funded by the marijuana excise tax. SB 5002 Concerning traffic infractions for marijuana, marijuana-based substances, or marijuana-infused substances. SB 5130 Restricting marijuana producer and processor businesses from being located in certain residential and rural areas. SB 5450 Adding churches and licensed chemical dependency programs in the buffer distance requirements of recreational marijuana businesses. SB 5467 Providing a single point of excise taxation on sales of recreational marijuana. SB 5493 Distinguishing cannabis health and beauty aids from marijuana. What a long list right? Imagine being a legislator trying to make the right decision. That’s why concise comments that speak directly to the bills language work best when communicating. I am going to try to find someone to help me track each of these lovely bills so we can keep everyone informed where these go! I gotta go do some reading! Don’t Drink the Blame it on Medical Marijuana Kool-Aid. By sharon whitson / Comments Off on Don’t Drink the Blame it on Medical Marijuana Kool-Aid. My name is Sharon Whitson and I’m the General Manager of Seattle Event’s A Non Profit Corporation, the producers of Seattle Hempfest, Hempfest Business, & Hempfest Central. Let’s talk about why I502 is faltering and instead of drinking the blame it on medical marijuana kool-aid we’re going to evaluate some facts. First a history lesson. Medical cannabis was legalized by the voters via I-692 in 1998, 14 years before recreational cannabis. Medical cannabis began being a legitimate industry at this time. Our legislators where just too afraid to touch it via enacting regulation so they allowed the citizen’s initiative to be enacted but treated it like a green haired step child sitting in a corner that they didn’t want to see. Mean while, the medical cannabis industry blossomed, with some jurisdictions, like Seattle supporting it, and others banning it. Despite Federal raids on people like the Kettle Falls 5, the industry persevered. 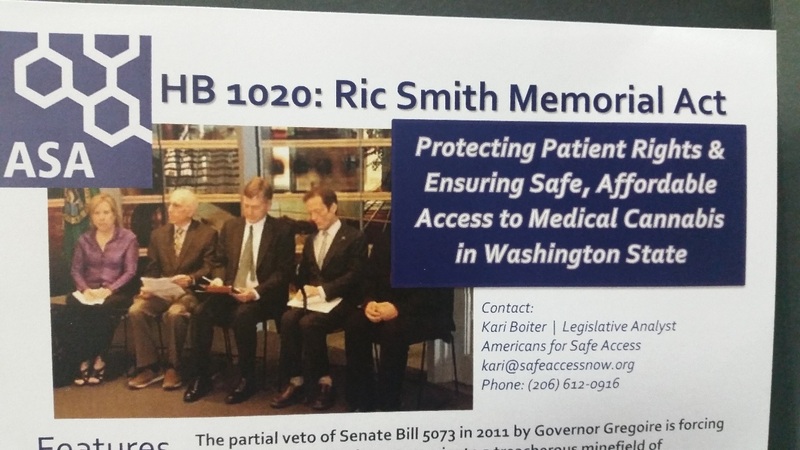 Knowing they needed to be regulated and tired of being ignored by the state in 2011 the medical industry worked with both the Washington State House & Senate and passed SB 5073 that would regulate the medical cannabis industry. Chris Gregoire, who was then Governor, afraid of the Federal boogie man, vetoed much of 5073 and instead of regulating the medical cannabis industry instead made it even more of an unanswered industry. In 2012 the people over whelming voted to add recreational cannabis use to our legalization system along side medical cannabis. The voters did not vote to abolish medical marijuana. They voted to stop sending people to prison for a plant and to create a new system for recreational sales. Right now 40% of Washington State Cities have enacted an I502 moratorium. This means they will not allow I502 to be implemented in their cities. Now I’m all for jurisdictions being able to enact their own rules but this also means the states needs to reduce its financial projections for I502 revenue by 40% – as only a maximum of 60% is achievable since 40% of the stores cannot even open. This also means that under an I502 system, 40% of the states medical cannabis needs will not be met if medical is put under I502. There are 330 possible I502 retail store licenses and we have 86 retail stores open. That’s only 26% and they opened at varying points throughout the entire year. This means that we should have expected less than 26% of the projected revenues thus far. The high tax rates are helping keep the black market alive. The way to compete is to be economically competitive. That’s simple business 101. If your product is 3X the price of someone selling a similar product, your sales are going to be limited. Medical Marijuana is not the black market. According to the Washington Department of Revenue’s report to the Coalition for Cannabis Standards & Ethics, medical marijuana dispensaries contributed $832,000 in sales taxes in October of 2014 alone. Medical Marijuana businesses, like all others, have Washington & City business licenses and pay Washington B&O as well as City taxes. Those figures are not included in the $832,000 one month total. They hire employees. They pay employment taxes and their employees pay taxes. They rent buildings, they buy some too! Running a business is expensive. The medical marijuana industry has been contributing to the communities and coffers of Washington State for over a decade. Colorado is flourishing as it started it’s recreational market from its existing medical market. Instead of taking this common sense approach, Olympia decided to give it to the Liquor Control Board – who the people had recently voted out of controlling liquor sales – to recreate the wheel. To compound it, they create a blind lottery vs a merit based application acceptance system. This means that anyone who could complete the application and pay $250 could be chosen to participate in I502 even if they didn’t have the money or business plan it require to operate. This is why you only have 26% of the retail stores open. If we’d of had a merit based system you could bank on us being at our 60% maximum rate – remember it’s only 60% due to the moratoriums. Why not create a path for I502 producer/processors to sell into the medical market? Why would you turn to the newly created Recreational system for advice on Medical Marijuana – oh yeah, your protecting financial interests instead of the interests of the sick. Why else wouldn’t you turn to an organization like the Coalition for Cannabis Standards & Ethics or the Washington Cannabis Commission to gain insight since? Expertise in medical cannabis is being ignored like it doesn’t even exist and hasn’t been here all along! Astronomical tax rates, moratoriums, & a non-merit based selection process are what’s plaguing I502 forecasts, not medical marijuana. Please don’t drink the blame it on medical marijuana kook-aid. Instead let’s work with our legislature to strengthen I502 and create separate regulation of our already vibrant medical industry. His eyes opened. His nose smells. His right hand reaches out and runs along the cell wall. He feels pain in his lower back. He breathes in the years and exhales within his mind. He begins to pull, push, struggle himself upright on the prison bunk. He lifts one leg, then the other and his feet succumb slowly to the cold concrete floor. With his torso lean; his stooped shoulders, he stares at all below. He sees the draft blowing across the bottom of the steel door; pushing, lent, bits and pieces of this and that. With a moan he stands and shuffles the long, the short, distance to the steel sink. His hurt hands grab hold the sides and ever so slowly he looks, believes, into the tin mirror. Oh, what he sees. The age; as if the bent tree outside the cell’s window….. In time with worn old but clean prison clothes, he begins the journey. First he eases his head out the cell door. He looks left. He looks right. He begins to move. There’s no one about….. Finally, he enters the traffic of the living dead; the long red broad way of the prison hall. He does not look up at the faces. His mind ignores the sound. The smell of prison food his lungs reject….. Yet, he shuffles on. He moves with the set purpose within. He moves with the final judgment he has decided within. In time he’s there. It is where the orders come from. It is where they told him he must leave. He must go free after 52 years caged. He stands, backs up against the stone of the wall. Now he adjusts his stare, a moving stare, at what is about him; the waste, the human waste, as he. Then the plan begins to develop. It is a simple plan as he himself; a simple prisoner and no more. He exhales. He sees a cut in the human traffic and he shuffles across to the spot he chose. Before the set of steel bars he locks onto with his old hands. Then with all the aches within, he begins to slide to that red stone floor….. He shimmies his arms through the steel and holds on for dear life….. “Come on Mr. Brown. You’ve got to go today,” delivers a guard from the group of guards around the desperate soul….. They see his head shake, the gray of it. They hear the mumble and whimper coming from he who sits….. “Clear the hall. Clear the hall!” And the prisoners are chased away; just the man and his want and the uniforms with their orders….”I, I, there ain’t nothin out there for me.” And finally a clear sentence comes from what the courts have delivered from decades within the prison castle….. “Just leave him be”; “Come on all of you go on about your jobs” said the warden, leaving the man to decide when to unlock his soul from the forever grip. What I have just revealed to you I have witnessed; for I was one of those prisoners in that hall traffic that day. 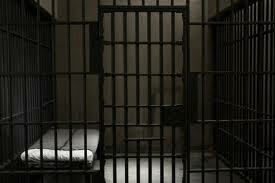 What I have relayed to you is occurring in prisons all across America. We are the only country that keeps non-violent prisoners forevermore in cages. 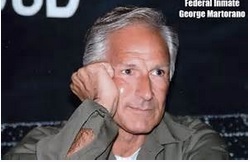 Sad to say; I George Martorano, might someday find his set of bars and lock onto with all of my soul’s wants.